When did the Jetsons become real life? With news of Airbus working on flying taxis, Amazon adding drones to its workforce, and CocoJet printing chocolate bars, we’re well on our way. Almost 10% of Americans who traded in a vehicle last year didn’t get a new one. That’s according to a new Reuters/Ipsos poll published May 25, and the news is having an (un)surprising effect. The same poll found that 39% of adults used ride-hailing services like Uber last year, and 27% of that group said they did so several times a week. Perhaps more remarkably, the poll found that almost a quarter of adults sold or traded in a vehicle in the past 12 months. Most got new vehicles, but about 9% of that group turned to ride services as their main way to get around. Similar percentages said they also plan to do that in the upcoming 12 months, and Uber is noticing. Want to Drive With Uber? As an Uber contractor, you’re responsible for setting your schedule and motivating yourself to drive — no one is keeping tabs on you. Your earnings will be calculated by adding a base fare, plus time and distance traveled after your pickup, and Uber charges a service fee. You also get to keep 100% of your tips, an option the company recently added to its app. If you want to give it a try there are a few things to keep in mind. You must be at least 21 years old, have three years of driving experience, have an in-state driver’s license, a clean driving record and be able to pass a criminal background check. Finally, your car must be a four-door, seat at least four passengers (excluding the driver), be registered in-state and be covered by insurance. Growth in ride-heavy New York City is impressive, too. 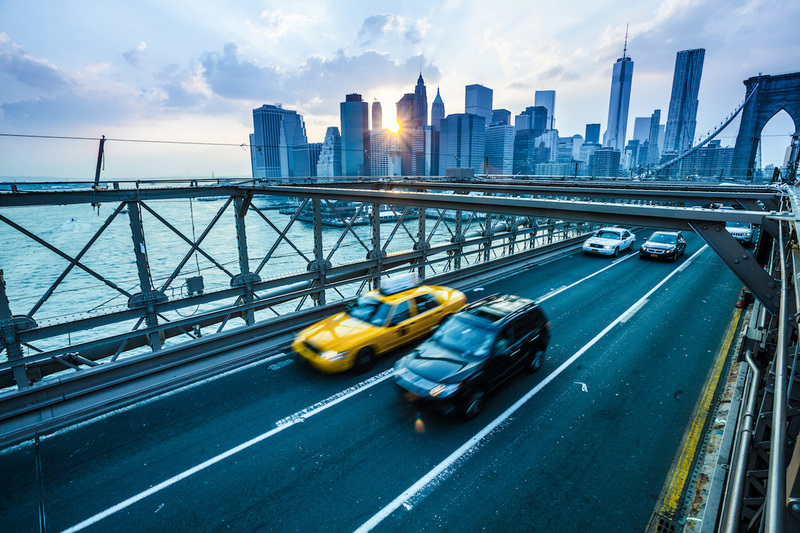 A recent report by the New York City Taxi & Limousine Commission shows the number of Uber trips climbing to over 250,000 per day from less than 100,000 just two years ago. Supply and demand, right? If you’ve considered driving with Uber in New York City’s five boroughs, this might just be the best time to do so. And to convince you of that, Uber is now offering incentives for new NYC driver partners. Unfortunately, these discounts won’t apply for those hoping to drive in the city’s suburbs. 1. Cash in on the new driver incentive. Pocket $250 when you complete 40 New York City trips within your first seven days of activating your Uber account, defined as from 4 a.m. the first Monday after activation to 4 a.m. the next Monday. 2. Note the $5,000 first-month guarantee. To promise you those initial start-up fees are worth it, Uber guarantees you’ll make $1,250 in net fares per week — or $5,000 in your first month. If you don’t, it’ll pay you the difference. However, you’ll need to complete 65 trips with 65 unique passengers — 25 of those must originate in Manhattan below 110th Street during peak hours (listed in the fine print here). Really, that’s most of Manhattan. 3. Rent a car, and get a $415/week credit. If you don’t have a vehicle, you can rent a new car. As long as you complete 65 trips per week in your first two weeks of driving with Uber, you’ll get a $415 credit. You’ll also need to rent from an Uber-approved dealer. To read all the details, head over to Uber’s New York City Guarantee hub. If you want to give this whole “Uber in the City” thing a try, now might be your best time so you can reap some of these sweet incentives. They’ll last until July 31. The initial sign up process is still easy; just fill out your information here. But… (there’s always a but)… there are start-up fees. Let’s explain those really fast. New York City requires all Uber driver partners who drive within the five boroughs to possess a Taxi and Limousine Commission (TLC) license. Before you can get your TLC license, though, you need a Class E license or a CDL. On average, these licenses (along with the other requirements) cost about $525 to $625. Drivers also need a vehicle. If you already have one in the city, great. It must be at least a 2006 model and pass all inspections. If you don’t have a car, you can choose to rent one through an Uber-affiliated dealer. If you don’t have $625 sitting around (or a car)…well, that’s where the big Uber driver incentives come in — and they’re in place until July 16. If you want to give it a try, here’s a link to sign up.